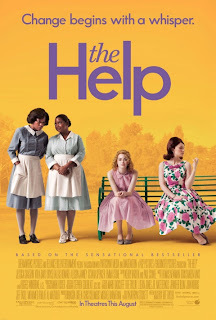 6 reasons I liked The Help, and 6 reasons I didn't. 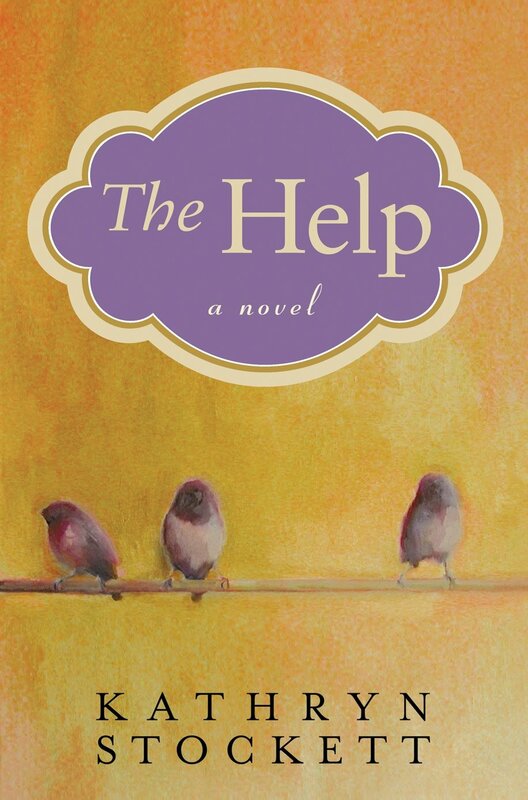 Ok, it's time for me to share more of my thoughts about the novel The Help . I was originally going to cut and paste your comments from this post and interweave my own ideas, saying what I did and didn't agree with. But then I figured that would be too much work. So, instead I will go back to my handy bullet points. Some of my commentary is pretty plot specific. I'll try not to reveal the big secrets, but if you're planning on reading the book/seeing the movie and don't want any spoilers at all--maybe you should read this post later. 1) The relationship between MaeMo and Aibileen. This is probably what I liked the most out of the whole book. So much love and affection going back and forth between those two. 2) Stockett did a good job of setting up a compelling story. She gives us three mysteries in the early chapters, and piqued my interest enough that I wanted to keep reading to find out what was going to happen. Like many of you, I had a hard time putting the book down and finished it in a couple of days. 3) An insider look into the subtleties of white Southern culture (at least Stockett's very narrow slice of it.) I have always been fascinated by subcultures. Like when Skeeter talked about how she wanted to buy Elizabeth a dress so she wouldn't make such crappy home-made ones. And how Elizabeth's mother always made Elizabeth take her to the most expensive restaurant in town, when she knew Elizabeth couldn't afford it. Reading The Help was like getting a glimpse into dysfunctional white family and friendship relationships. 5) I liked how Skeeter gave the maids her paycheck from the newspaper while she was writing the book. But did she say where the books proceeds would go once it got published? I don't remember. 6.) I heard that Stockett got 60 rejection letters before she got this book published. Yet another important lesson in the value of perseverance; and what can happen when you don't give up on a goal that's important to you. 1) Overall, I didn't think the book brought that much to the table from a literature standpoint. To me, it read like a novel that the author wrote with the intention of turning it into a movie. I don't like books like that, because they lack a lot of the things that make a book a book, ykwim? In its defense, I read mainly nonfiction. The last contemporary piece of fiction I was was The Road,which was about 20 times better than The Help. It's not about race or inequality, but I would definitely recommend The Road if you're looking for an excellent novel. 2) I felt like the main white character, Skeeter was much more multi-dimensional that the two main black characters, Minnie and Aibeleen. Like I said earlier, I think that Skeeter is the character that Stockett most closely identifies with, so it would make sense that Skeeter seemed more fleshed out as a person. I wouldn't go so far as two call Minnie and Aibeleen caricatures, but I don't think we get as much of a nuanced understanding of them as we do of Skeeter. This fits in with a pattern that I have talked about before of the tendency for white people to be the main idea, while the people of color are on the periphery. 3) I think Stockett's lack of understanding of black people came out in different plot points, some more significant than others. Like, there is a time where she has one of the maids compare her skin color with a cockroach. I really don't think this is something that a black person would do. Of course, I can't say for sure, since I don't share the same thoughts/opinions as every other black person in the world. Also, when Skeeter decides to pull the prank on Hilly regarding the lawn, she hires two black boys to do the pranking. Given everything that Stockett has already told the reader about how much violence and terror black people are experiencing at that point in time, why would she ask two black teenagers to put themselves in danger for a childish prank? 5) The whole time I was reading about Skeeter's family and where they lived I was thinking: How much does Skeeter's father Carlton pay his main farm hand? How did Carlton come to be in possession of this plantation? Who got the plantation after Calrton died? What would be the value of this land in 2011 dollars? I wonder where questions like this were on Stockett's radar. 6) A lot of people have been criticizing the book for its portrayal of another "white savior" storyline. I have to say that I didn't really see it that way. I don't think that Stockett intends for Skeeter to be the hero of the book, it is very clear that Minnie and Aibeleen do just as many heroic and virtuous things as Skeeter does. But like I said before, Skeeter in a lot of ways is the main character. She is the one who had the idea for the book, and she is the one that we see driving off into the sunset to her fancy life in New York City; while Minnie, Aibileen and the rest of the maids are left to keep maid-ing it up in Mississippi. This is what I don't get about why people respond so strongly to this book: What are we as the readers supposed to think happened in early 1960's Mississippi as a result of the book that Skeeter wrote? From what I remember, one white woman and her maid sit down at the dining room table together. And Skeeter gets to go to the Minnie and Aibileen's church and be told how great she is. Big whoop. Hilly's still rich (but embarrassed), Skeeter's still rich and Minnie and Aibileen are still poor. Now I know I'm starting to sound cynical. It's like, there are already so many books out there that speak to the black experience (many written by actual black people,) why are people so drawn to this one? The answer (at least in part,) is that Stockett gives us a nice little story, with a nice little ending wrapped up in a happy bow. The bad people are bad, and the good people are good. The good white people do good things, and get love and affection from the good black people. But it worries me thinking that a lot of white women read this book and thought something like: "I'm going to go out and tell some stories of some poor black people I know. Well, I don't actually know them, but I've seen them before and they seem pretty sad. Their stories need to be told!" It's just such an oversimplification of what we're dealing with, and it annoys me. The reality is that these issues of race and inequality are so complex and there are so many shades of gray. It's not enough to not be a racist bee-yatch like Hilly. It's not even enough to be a do-gooder like Skeeter. And it is not enough to be the oppressed, yet proud and virtuous black sufferer, like Minnie and Aibileen. We are all much more multi-dimensional than that. I think the fact that this book is so popular shows that many white people have a thirst for learning more about the history of race relations in this country. This is a good thing. And I know that from the theory of crop harvesting, that some people are going to read The Help and it is going to be an important step on their journey in becoming more in tune with their own racial identity; and gaining a more realistic understanding of not just the history, but the current state of affairs of race relations in this country. That is definitely something I can get behind. But I am unsettled by the fact that many more people will read The Help and think that the mere act of reading it says something significant about them and their commitment to equality. And that the warm, fuzzy feeling that they get at the end of the book will delude them into thinking that we don't still have a long, long way to go. I actually have more to say, but this post is already hella long. Maybe another day. But if you have any comments that you'd like to share, I'm all ears. Here is a another commercial that I think is funny. It's too bad that none of the days of the week start with C, because then I could make it a semi-regular feature, like Music Mondays or Fewer words than usual Wednesdays. Ah, well. But, regardless of your race, color, creed, or national origin: DON'T STEAL SODA!! It is one of those little things that ultimately leads to the downfall of society. I bet those people at ENRON stole soda all the time. You can "like" myblackfriendsays.com on facebook. If you haven't had a chance to weigh in about The Help or if you have, but then thought of something even more brilliant to say after you'd already hit "post comment" click here to add your two or three cents. And if you'd like to leave a comment about this video, or share any pet peeves you have in the same vein as soda stealing...I'd love to hear them. Help me with The Help. I've tried to write this post two other times. Feeling the effect of knowing my readers, methinks. Blogs (like the entire internet,) started out as these big ol' anonymous things. It's easy to say what's on your mind when no one knows it's you. It's sometimes hard when people do know it's you. But...it builds character. 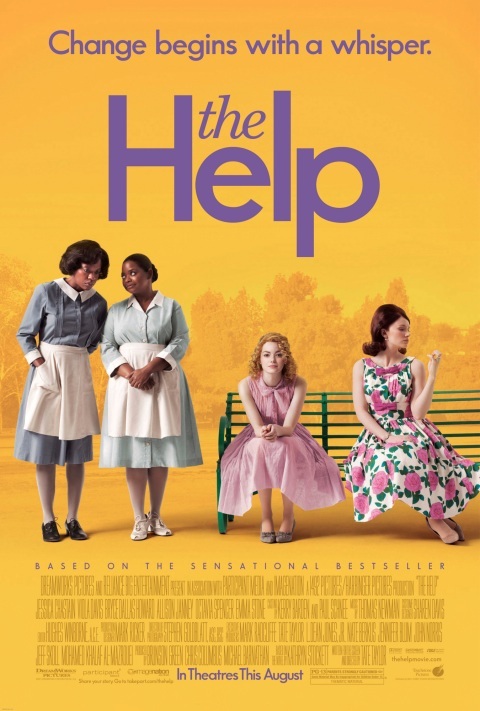 The movie adaptation of the novel The Help opens today. If you've been living in a hole, The Help is a runaway bestseller written by Kathryn Stockett. It's a story about a group of women in the South during the beginnings of The Civil Rights movement. If you're not familiar with the plot, you can check out the preview for the movie below. I read this book a few months ago. It's been on the bestseller list for years, so I think I read it kind of on the downswing of the craze. I say that because it was staring me in the face on display at my local library, and I had heard previously that people were having to wait weeks and weeks on their libraries' waiting lists to read it. So, I need your help...what is the deal with this book? Why are so many white women responding so strongly to it? If you've read it, how did it impact your life? What do you see as the major themes? Why do you think it doesn't seem to be getting as an enthusiastic of a reaction from black readers? I have some more plot specific thoughts, but I'm going to end it for now. I really hope that those of you that have read it will leave me comments and we can continue the conversation in (a) later post(s). And if you haven't read it, and just want to leave me a comment--that's cool too. Labels: 1950's south, kathryn stockett, race, racism, the help, the help movie trailer, white savior, why do people like the help?